Tesla Model 3 Standard Range Plus is the second most affordable variant of the car with a $37k price tag (3% price hike expected by tomorrow or later this week) — with an all-electric range of 240 miles per charge, this version of the Model 3 is a real bargain. If you look at the exterior of the vehicle, there is zero-compromise on the looks as it is identical to the closest upper trim i.e. the Long-Range RWD with 325 miles of range and an additional cost of $6,000. The interior also has no visual difference with the Long-Range RWD variant until someone chooses the ‘Black and White’ interior option for an additional $1,000, this visual upgrade is not available for the $35k base version of the Model 3. Further details, latest pricing, and ordering at the Tesla Online Design Studio. Tesla has started deliveries of the Model 3 Standard Range Plus as the company showed an estimated time of 2-4 weeks when it opened orders for the two most affordable versions of the car last month. One of the Tesla customers featured his Model 3 Standard Range Plus in the following video where he gives us a good walkthrough of his brand new electric vehicle and some comparison with the upper trims he has previous experience with, let’s check out. As we can see in this video, there is little visual difference you can notice between the Premium Interior and Partial Premium Interior besides some options that are missing as we listed them above. If your usual commute needs don’t require a 325-mile range electric car, the Model 3 Standard Range Plus is a great value for money product. 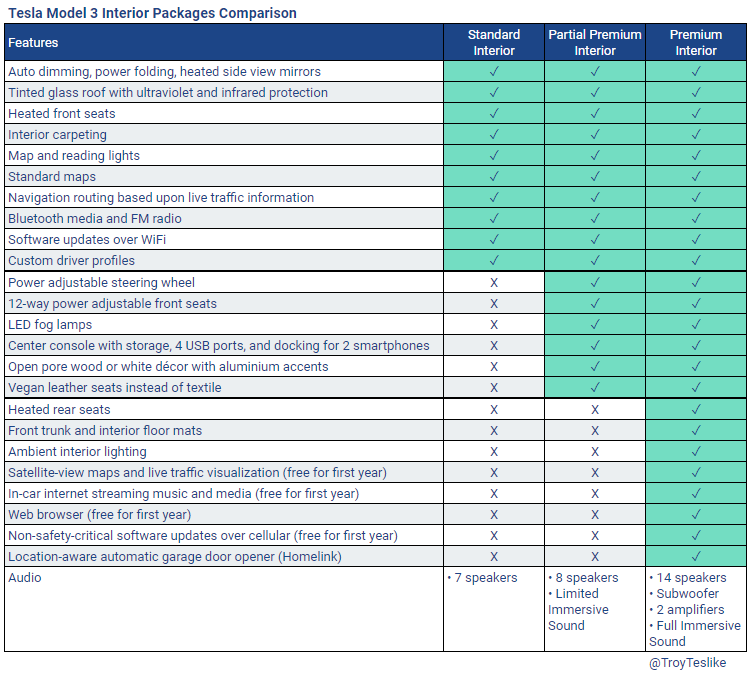 @TroyTeslike created the following chart to illustrate the differences between all the three Model 3 interior options i.e. 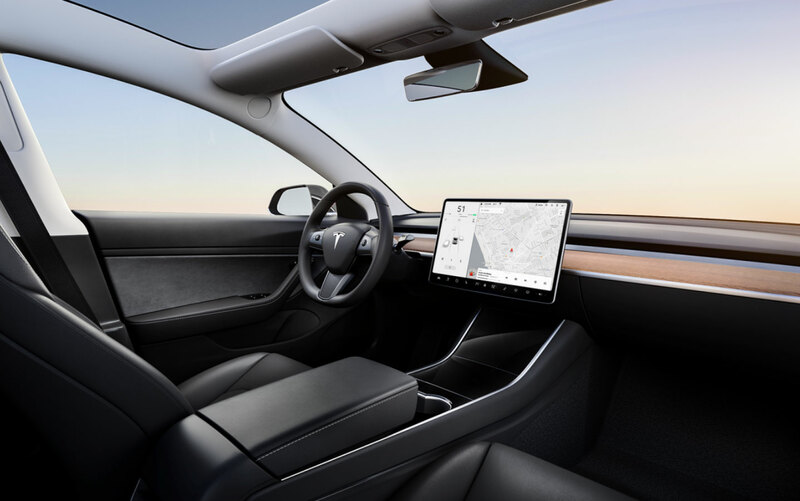 Standard, Partial Premium and Premium, a must-see before ordering your Tesla Model 3 interior package to decide on your preferences and do you think you can really compromise on some choices. As with the questions about the difference between the sound of the Partial and Premium speakers setup of the Model 3, we can just listen to both of them one by one in the following video. If you have good quality headphones or speakers attached to your computer/mobile phone you can decide for yourself if the difference is worth spending another $6k which you can probably use for a beautiful exterior wrap like the matte black we recently featured. Follow us on our Flipboard publisher profile to get constant updates and easy access to archives.